Visit the website to view rates & pictures of all rooms available. Lyons also has a separate cottage available for reservation as well as two mini-apartments. New in-room steam showers! Each reservation includes full breakfast @ Nate’s Place. A pair of 1870’s red brick mansions serve as a charming bread & breakfast hotel. This award-winning destination is perfect for relaxing & romantic getaways, top scale corporate travel at an affordable rate, family gatherings, reunions & much more. Nate's Place offers breakfast, lunch & dinner with full bar available.. Reservations suggested but not required. Menu is on the ''Highlights'' tab. The twin mansions were built by bankers from New York. 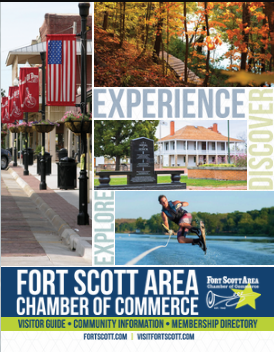 Persuaded by the prospectus of Fort Scott becoming the rail center of the frontier, two brothers & a son in law packed up their families and headed west. The men opened their bank in 1868 with $300,000, bought this big parcel of land on the highest rise on the tall grass prairie in 1870 and began building the Twin Mansions in 1872. It took four years and about $10,000 a piece to build the mansions. The young son-in-law supervised the building of the Twin Mansions: the ''modern'' home on the corner for him and his young wife, the home next door for his wife's uncle & his wife. Twins indeed differing only by the interior decor: the North mansion very traditional Victorian with elaborate glass & millwork, the young couple's home on the corner very streamlined and sophisticated. Centrally located in Fort Scott on the corner of 8th & National, just two blocks west of Highway 69.